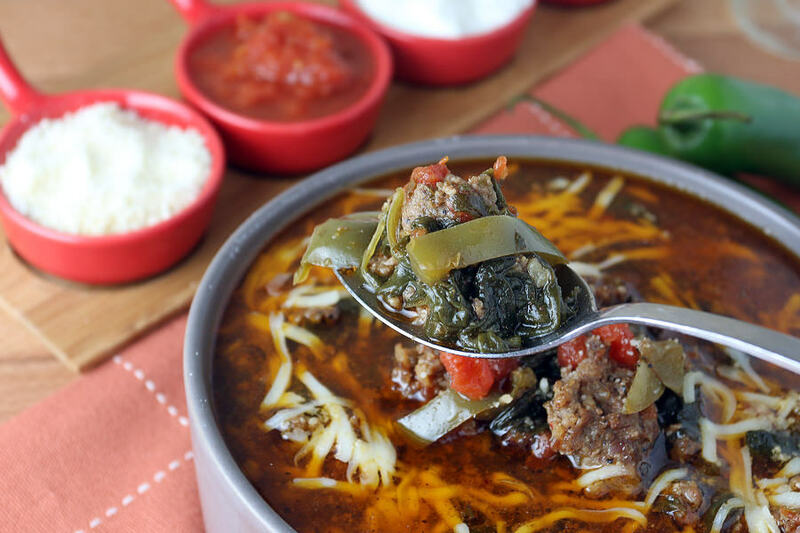 I’ve been a fan of Hot Sausage and Pepper Soup for a long time. 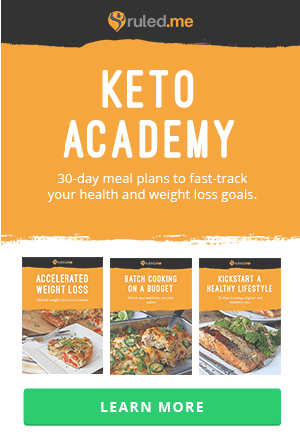 Even when I started the website, that was one of the first recipes I posted (so don’t be in too much shock when you see a cell phone picture – oh, how we’ve come a long way). Since then, I wanted to bring the carb counts down two-fold for the recipe. 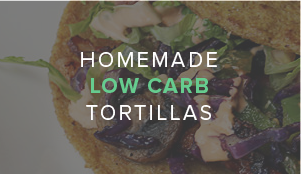 Re-vamping it made an old favorite into a new, lower carb version. We’ve replaced all of the onion with onion powder, added a bit more meat to round out the fattiness, and taken away some of the bell pepper without slacking on the flavor. 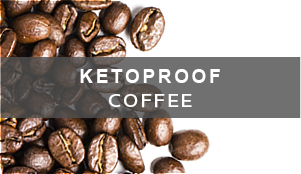 This still has a full bodied, deep, and super delicious taste – just without the carbs! Another great thing about this re-made version is that the servings are much bigger. 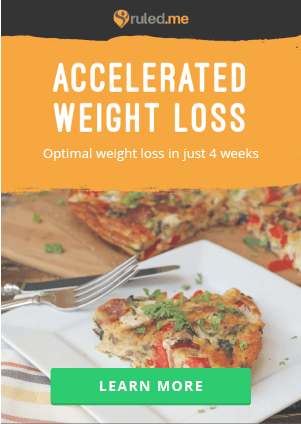 You would think that 6 servings doesn’t sound like a lot, but you can certainly get more out of this. 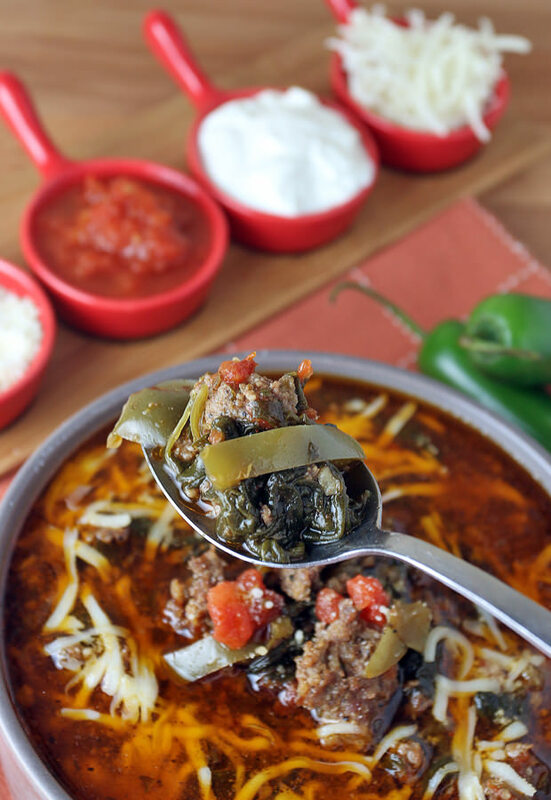 Each serving is a hearty, bowl full of soup with plenty of meat and pickins’ to dig through. 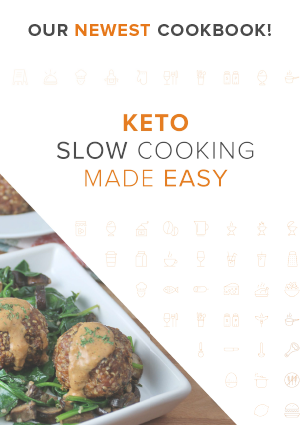 Oh, and it re-heats perfectly (in the microwave, or on the stove)! 1. Heat olive oil in a large pot over medium heat. 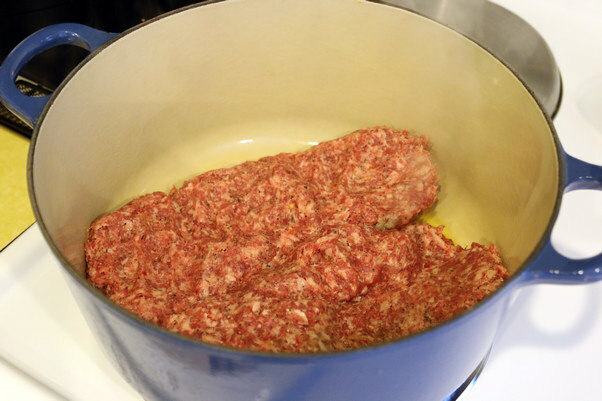 Once hot, add sausage to the pan. 2. 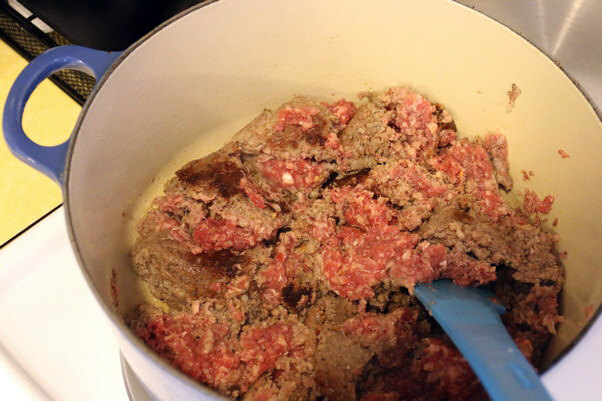 Once the sausage is seared on one side, mix it together to allow it to cook slightly. 3. 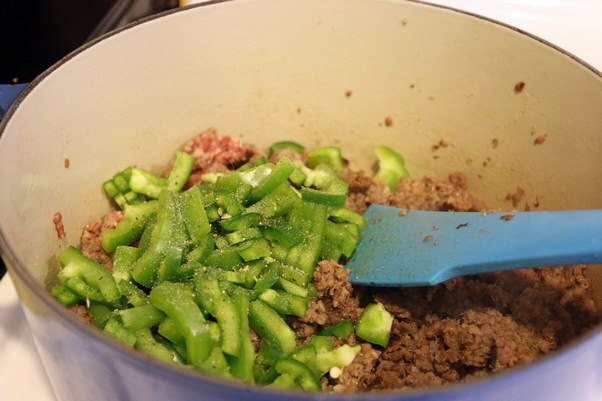 As the sausage cooks, slice green pepper into pieces. 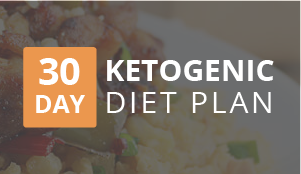 I optionally add 1 jalapeno more because I prefer the spiciness of fresh jalapeno. 4. Add the peppers and stir everything together well. Season with salt and pepper. 5. 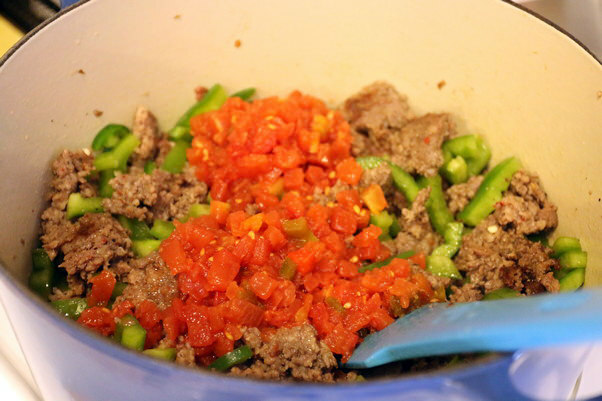 Add the tomatoes and jalapenos from the can and stir once more. 6. Then, add the spinach on top of everything and place the lid on the pot. 7. 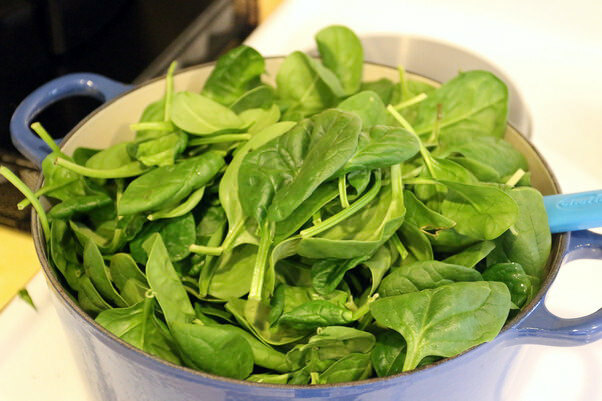 Cook until spinach is wilted, about 6-7 minutes. 8. 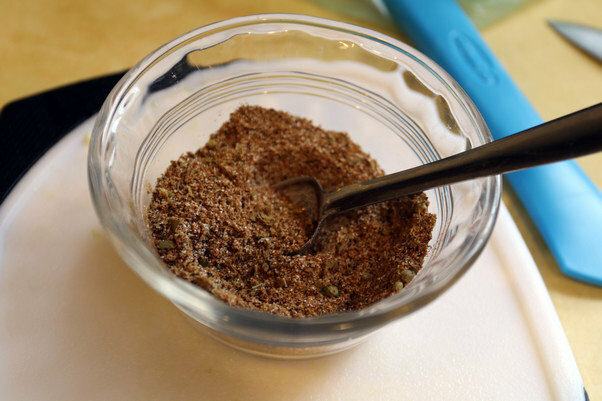 In the mean time, measure out all spices and grab your beef stock to have handy. 9. 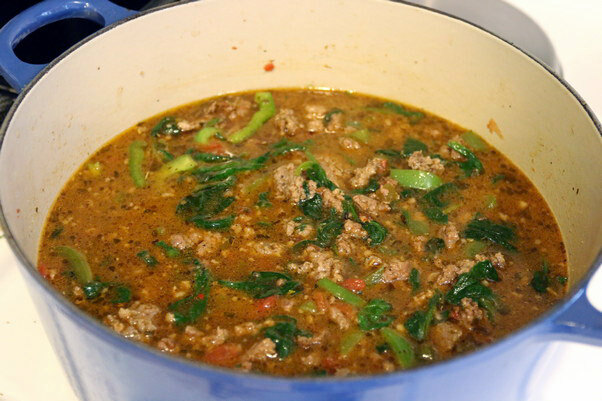 Once the spinach is wilted, mix it together with the sausage. Then add the spices and mix again. Lastly, add the broth and mix once again. 10. 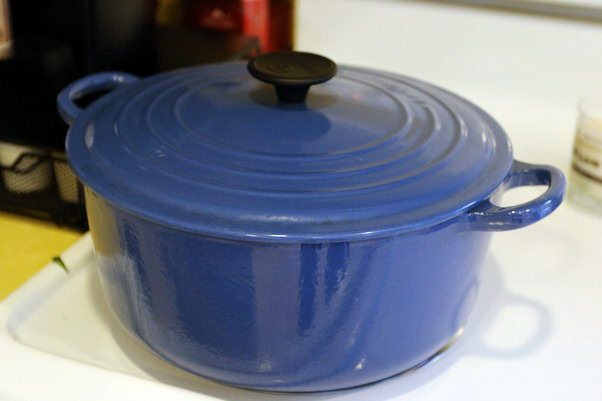 Replace the lid and cook for 30 minutes covered, reducing heat to medium-low. 11. Remove the lid from the pan and let simmer for 15 minutes longer. 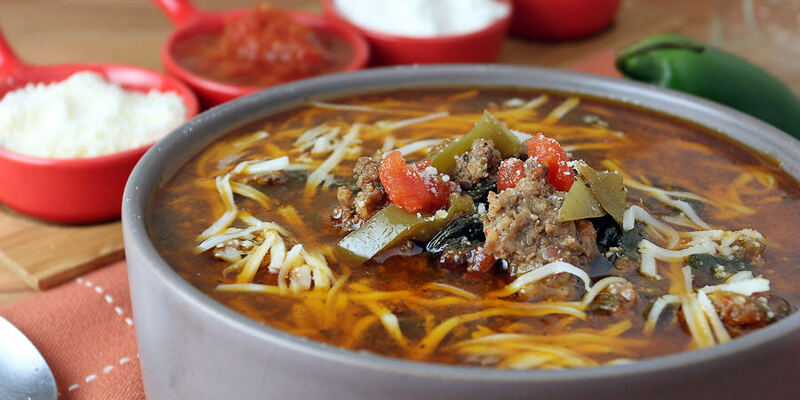 This makes a total of 6 (1-cup) servings of Low Carb Sausage and Pepper Soup. 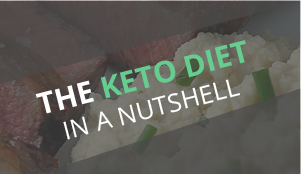 Each serving comes out to be 597.67 Calories, 50.25g Fats, 6.86g Net Carbs, and 27.03g Protein. Heat olive oil in a large pot over medium heat. Once hot, add sausage and cook until seared. Stir, and cook more. 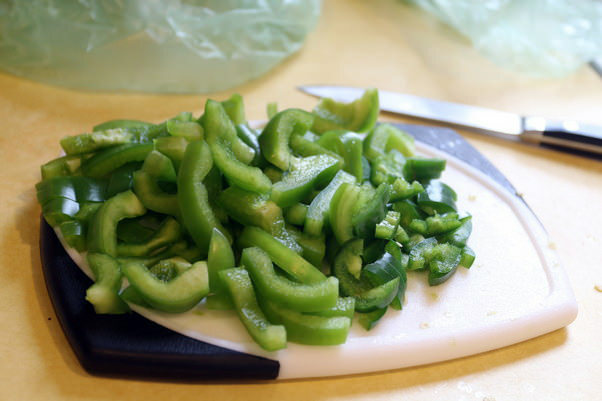 Slice green pepper into pieces, then add to pot and stir everything together well. Season with salt and pepper. Add the tomatoes and jalapenos and stir again. 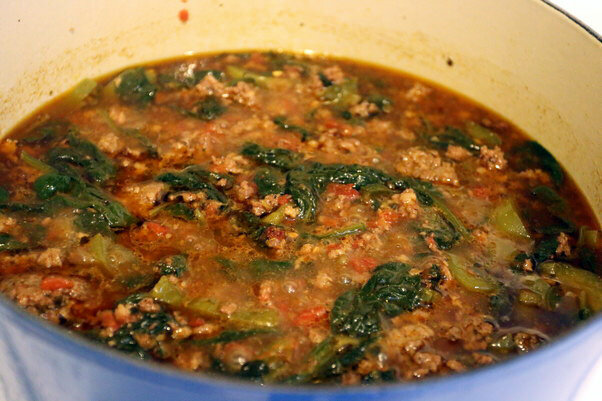 Then, add the spinach on top of everything and place the lid on the pot. Once wilted, add spices and broth and mix together. Replace the lid and cook for 30 minutes covered, reducing heat to medium-low. Once done, remove the lid from the pan and let simmer for 15 minutes.